If you burn wood or wood pellets for heat, you will undoubtedly have to periodically clean the ash residue from the hearth or fire chamber of your woodstove, heat stove, pellet stove or wood-burning fireplace. You might want to reach for your household vacuum or shop/garage unit, but that will cost you in some way or other. Keeping your fireplace or heat stove fire chamber free of ash is a necessity to improve air intake for a good burn, but removing that ash also helps to reduce allergens and odors associated with smoke and burnt wood fibers. An ash vacuum is the only type of vacuum that should be used to clean ash. There are various reasons you should use only this specially-designed cleaning tool for this task and NOT a regular vacuum with safety being the most and foremost reason. But if you need more reasons not to use your household vacuum, we can give you some. Safety cannot be stressed enough and is the main reason you should not use your regular vacuum for cleaning wood ash. Your home vacuum is not constructed to take the heat and using it to clean the woodstove or fireplace can pose a fire risk. An ash vacuum is specially designed to handle hot temperatures that could be lurking in those seemingly cooled ashes in way of clinkers. The first rule - the ash should be cooled or assumed to be. That means scheduling your woodstove or fireplace cleaning when the stove has been down at least twelve hours, but preferably twenty-four. But note, that a clinker can be present and buried in those supposedly cooled or still warm ashes for hours, if not days. Never under any circumstance, attempt to vacuum hot ashes - that would be dangerous. A regular vacuum is not safe to use for ash removal; an ash vacuum has a metal construction and is made to handle it. While you might be thinking 'what can a little ash do' while reaching for your household or garage vacuum, you more than likely will be ending its lifecycle or starting a descent into the big pit of burnt motors. A regular household vacuum is not designed to handle any form of warm or hot ashes. For starters, it will melt the rubber/plastics in the hose and dirt bin construction and could even start a fire within your vacuum. But there's more. The quickest way to kill your home's vacuum is to use it to clean ash or sheetrock dust. Those minute particles will head straight to the motor and damage the inner workings of your vacuum. Regular vacuum filters, even HEPA-style bags cannot fully contain that ultrafine dust, nor are they made to. If you want your household vacuum to last for many more cleanings, keep it for what it was designed for - cleaning the home. And keep your shop vacuum for shop, garage, and DIY projects. Though you can buy fine dust filters for shop-style vacuum, when it comes to ash dust, they are not effective. And this style of vacuum is not made for heat either. Nor is it designed to. On the other hand, an ash vacuum has a thermal hose that is usually rubber-coated steel and heat resistant, should there be some unexpected hot embers. The nozzle is also metal and can take the heat of vacuuming into an often still-warm fire chamber, plus it is shaped to enable a more thorough cleaning of the interior of your wood-burning stove or fireplace. 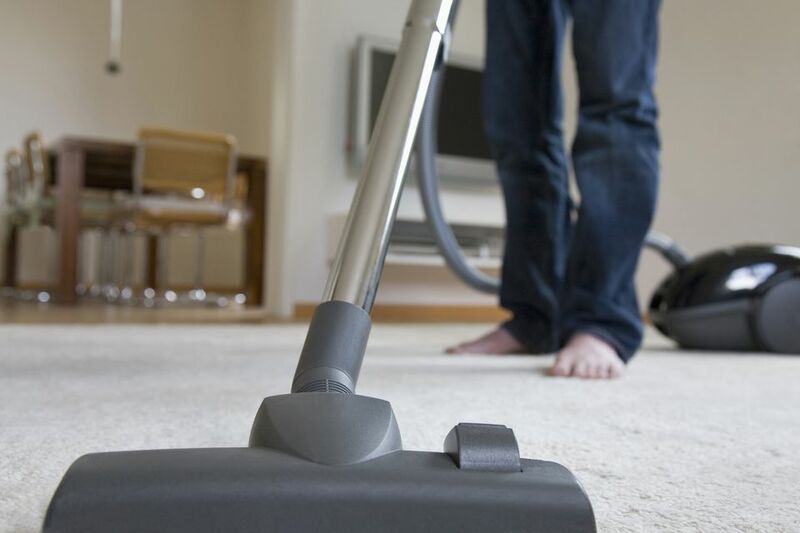 Your home's vacuum just can't cut it. While you should try to ensure that the ash is cooled, it can happen that clinkers or still warm ashes are present. The metal housing of an ash vacuum protects and contains, reducing the risk of fire when clearing ash from your woodstove. The sealed unit also contains that dust. After cleaning ash, you should always transfer the ash vacuum outdoors and as soon as you can, dispose of the ash in a safe manner. A filled ash vacuum, though it has a fire resistant metal housing, should never be allowed to remain in a confined space, home or building. Also, always ensure that you start cleaning your woodstove with an empty ash vacuum. Ash dust is very different than household dirt and dust. And it also tends to be an allergen for those sensitive to certain woods or to dust in general. Though your household vacuum may have a good filter, ash is a different type of dust and so fine that it can quickly transfer to the motor. An ash vacuum has a filter designed to not only handle warm ash but also to contain it, so none is released back to the home through the exhaust. It helps you to do a more thorough job, virtually ash-dust free when cleaning a fire box. You will want to avoid breathing in ash dust, so always use a personal safety dust mask and protective eyewear when cleaning a wood-burning appliance. An ash vacuum is generally compact to store and is designed for ease of use when it comes to cleaning in and around the fire box, including the enclosed compartment that contains ash pans. Some models have wheeled bases which makes it easier to maneuver around the whole heat stove and woodbox area. Ash vacuum prices tend to vary depending on what's included in the package but many sell for $200 or less. Brand variety is limited. Floor accessories so you can use it for cleaning the shop, garage floor or after a DIY project, are very convenient to have. And a wheeled base just helps it along nicely. When it comes to burning wood for heat, you cannot be too careful, so it's a small price to pay for safety. While an ash vacuum is made for dry cleaning only, you can usually use it for other cleaning tasks, such as for the shop or garage. It really depends on how many tools or accessories come with the ash vacuum. It is also a safe cleaning tool for the barbecue. Find helpful buying tips as well as general information regarding heating with wood, including types of woods considered best for heating. Can a Clean Humidifier Make You Sick? Is Your Home Too Dry or Does it Have Excess Humidity?